In some parts of the world (mine) it's FREEZING! It has me dreaming of the days when I would go to the beach in the summer and eat my rainbow colored marshmallows. They didn't taste any different than the regular ones but they were the prettiest shade of yellow orange pink and green. 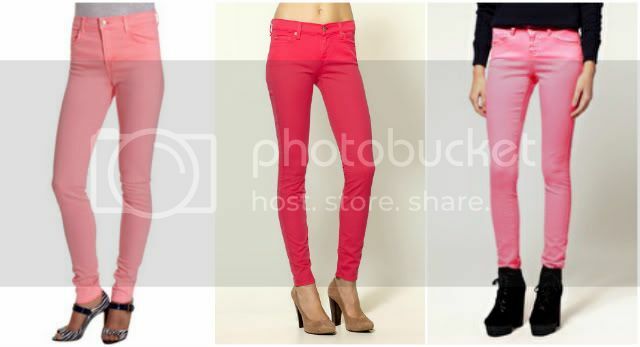 You can imagine my joy when I saw that colored denim is still going and in sherbet colors no less. I'll e staring at these and counting down the days til Summer.